Aspirants for the coming session in Obafemi Awolowo University can now start to predict their chances of admission after the statistics of the 2014 Post UTME has been unveiled. 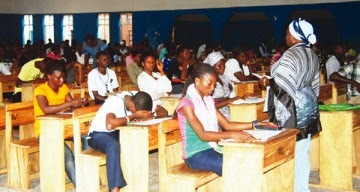 A statement by the Public Relations Officer of the University, Mr. Abiodun Olarewaju, stated that out of the total number of 14,648 who participated in the screening, Seven Thousand, Seven Hundred and Seventy Nine(7,779) candidates scored Two Hundred (200) and above.Among these candidates that crossed the average mark, only Eight(8) had above 300. Seven out of the eight candidates who scored above three hundred(300) applied to read Law while the eighth candidate applied to read English Education. One candidate scored 360, two candidates scored 352 each, and each of the remaining six candidates scored 348. While Akinade, Oladayo Felicia (45027699HD), who scored the highest got 360 (Law), others, whose scores follow closely, include Adeagbo, Folakemi Olanike (45737901HC), 352 (Law); Koye-Ladele Mofehintoluwa O(47368712CI), 352 (Law); Iloabuchi, Emerie Collins (47185750II), 348 (Law) and Ayodele, Timothy Oluwaseun (47189939DE), 348. Others are Odelami, Akintomiwa Akinleye (47194139EE), 348 ( Law); Ajayi, John Jesuferanmi (47198557HJ), 348 ( Law) and Ojo, Isaiah Olaonipekun (47356218GI), 348 (Edu/Eng). The Vice- Chancellor of the University, Professor Bamitale Omole, in his reaction applauded the academic and administrative soundness of the members of staff, whose dedication to duty was described as a masterpiece, particularly on the just concluded post-UTME screening exercise. He thanked them for making the academic progress and overall development of the University their priority. As for the incoming Law students, you can take a cue from this statistics. It is going to be a competitive class no doubt. Its quite unfortunate that your scores are too low. Admission may not be possible. What you chose is usually not the first consideration. Meeting the minimum requirement for admission is first considered before seeing into your course of choice. I got 216 in jamb and 250 in the just concluded post utme exams, I chose computer engineering as course of study. What do you think are my chances of getting in? Your chances are very high friend. All you need to do is to be patient and wait for the cut-off mark for the cut-off mark to be out. Your average is 233. Also, what is used for the cut off mark. Is it post utme score or the aggregate of jamb and post utme? The aggregate score as explained above. Thanks a lot! I'm glad. Will the cut off marks for various courses be out soon? Yes. We expect it soon because JAMB has given all tertiary institutions a deadline for them to submit the list of every candidates recommended for admission. Alright then. All that is left is to hope for the best. I also hope the school resumes quickly. Yes bro... and I wish you the very best too. We are also hoping that all issues are resolved soon so that we can resume back to school. I scored 212 in jamb and 226 in post utme, and I chosed international relation. Is there hope for me? Yes. You have hope. The cut-off point is yet to be out. pls i scored 217 in putme nd 238 in jamb and am going for dentistry but base on d fact dat am from one of those states regarded as elds(education less develop states) by oau i.e Ebonyi state.pls what ar my chances or is there any other option for me? Your question has been attended to in the other thread where it was initially posted. pls o, i scored 152 in post ume, nd scored 200 in jamb, do i av any chance of gettin d admission!? 257 for Dentistry is pretty fine. Patiently wait for the release of the cut-off mark. learnt that the cut-off marks is out and has been pasted in each faculty, is this true? If yes, wat's the cut-off mark for medicine and Oyo state catchment area score? I got that info too but I am yet to verify. I will do that today. i scored 251 in jamb and 197 in my post jamb and i applied for Economics Education, do i stand any chance? I am afraid scores below 200 in Post-UTME may not be considered for admission. As Jamb has given some admission based on merit, how many people have been given admission by jamb so far?